...to the present. 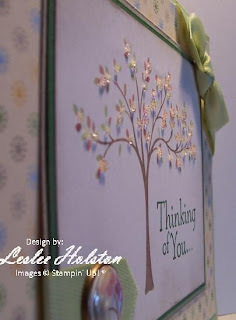 Today, I know a lot more about paper crafting, card making and the different techniques. I have evolved...to some extent anyway. I still enjoy markering direct to the stamp. This card uses the 'thumping' technique. It's a great way to add more color to your unstamped image. 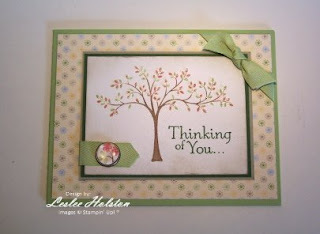 Inspired by my soon-to-flower dogwood tree out back, I wanted my image to 'blossom'. So, I added clear micro beads. It's difficult to see in the photo but in real life (irl) it sparkles and I love the outcome. Thanks for stopping by today! I hope you find inspiration everywhere!